Happy Wednesday! This week, we’re going to take a closer look at philanthropist/inequality scholar Chuck Collins! He is a storyteller and organizer known for his efforts to bridge the national debate about wealth inequality and taxes as well; examining how to build community resilience and make a healthy transition to a sustainable new economy. Chuck was, as he would be the first to tell you, born with the figurative silver spoon in his mouth. 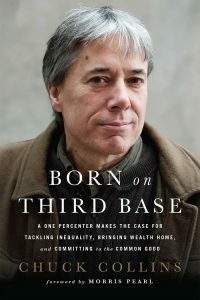 Or, to quote the title of one of his books, “Born on Third Base”. But growing up, he quickly learned he hadn’t hit a triple! The great-grandson of Oscar Mayer (yes, that Oscar Mayer) grew up in privilege in suburban Detroit and attended the prestigious Cranbrook School. The 1967 riots in Detroit made young Chuck aware of inequality – racial, economic, etc. As an adolescent, he raised money for guide dogs, got involved in the first Earth Day in 1970, and began trying to make a difference in the world around him. At 26, Chuck did more than talk the talk – he walked the walk, giving away his inheritance to charity. When his conservative father asked him if he was a Marxist, Chuck replied that he’d rather be though of as a “Gandhian or Christian”. Chuck has worked at the Institute for Community Economics, co-founded United for a Fair Economy, and is currently a senior scholar with the Institute for Policy Studies. 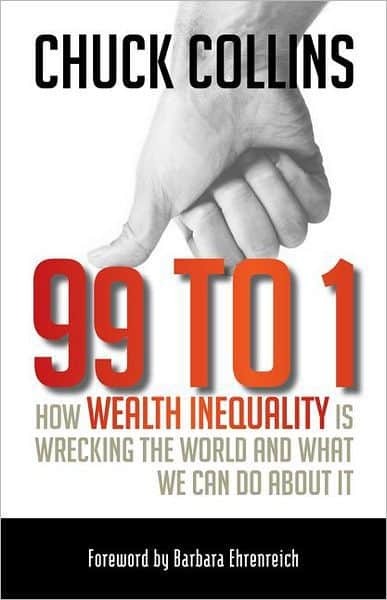 He is co-author of several books, including, with Bill Gates Sr., Wealth and Our Commonwealth: Why America Should Tax Accumulated Fortunes, and with Mary Wright, The Moral Measure of the Economy. 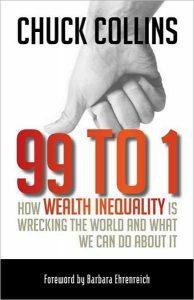 His most recent book is 99 to 1: How Wealth Inequality is Wrecking the World and What We Can Do About It.